of Moss Bros in 2006, having gone into the shop to buy a duffel coat, he was so taken by his demeanour that he asked if he could paint his portrait. I recently went along to chat with Mr Williams about his long and active life. In 1935 Rolf's paternal uncle, aware of the growing power of the Nazis and increasing anti-semitism, emigrated with his family to Buenos Aires. Rolf's mother's brother was sent in 1938 to the so-called Re-Education Camp at Sachsenhausen, and on release he emigrated with his family, coming to England from Berlin in June 1939, and settling in Richmond. His son Walter Lasally became a well-respected cinematographer. One day in 1938, as the 13 year old Rolf was cleaning his bicycle outside his family's apartment in Prinzenstrasse, a Mercedes bearing Adolf Hitler approached. The car stopped, and a voice ordered Rolf to salute the Fuehrer. He refused, was arrested and sent to Dachau Concentration Camp for three months. His Uncle Leon in Geneva paid a large sum of money, 20,000 francs, to secure his release. Rolf attended a Jewish school until the anti-Jewish riots of Kristallnacht, on the night of 9/10 November 1938, when his school was burnt down, along with the destruction of hundreds of synagogues, and the ransacking of many homes and businesses. Ninety Jews were murdered and between 20 - 30,000 Jews arrested and sent to concentration camps at Dachau, Sachsenhausen and Buchenwald. Some were later released after agreeing to emigrate, their property having been confiscated by the State. 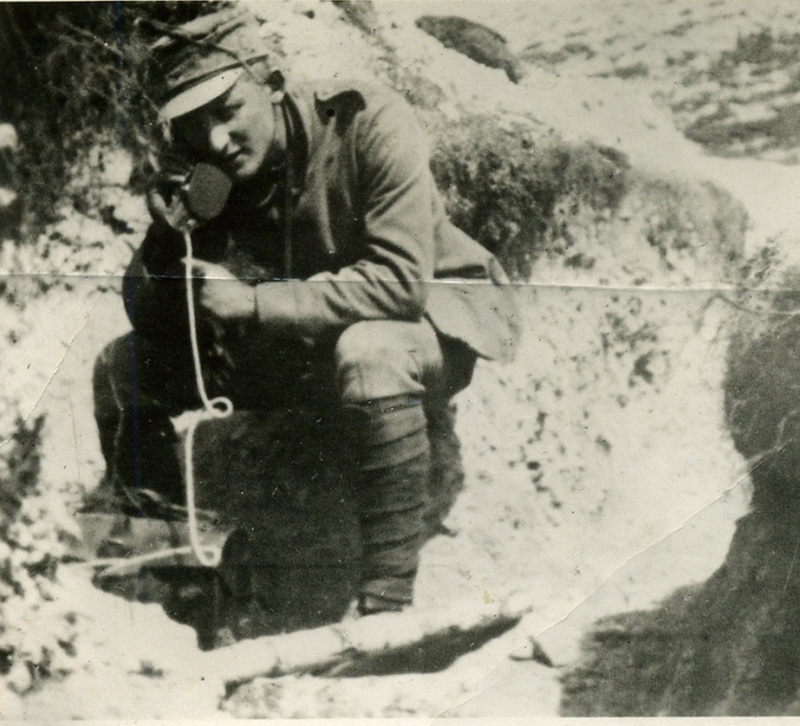 Rolf's father was one of those who had been detained in Dachau. Later that month his father was released. 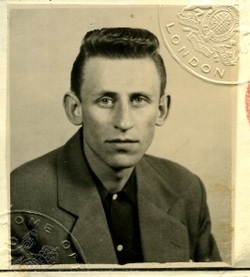 He managed to obtain a visa on very short notice and flew the same day from Munich airport to London, where he embarked for the journey by sea to Buenos Aires. 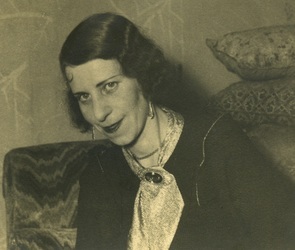 Rolf and his mother stayed behind, partly because of the lack of necessary papers, and partly so that his mother could watch over the family department store - ELCO - which his paternal grandfather had built up in Munich. The building still stands. Rolf's bicycle and a number of family items were shipped to Buenos Aires in 1938, checked off a list before embarkation by the authorities. Before he packed up his bicycle Ralph took it apart and hid family diamonds and jewellery inside. Years later, when he arrived in Buenos Aires, he found them still safely hidden. As he says with a smile today, "I got round the Gestapo." Over the next year, Rolf lived with one of his Roman Catholic tutors, Professor Emmendörfer. Prior to Kristallnacht, Rolf had already been experiencing problems because of being Jewish. Rolf's mother had moved to a smaller home by then. She heard that the last Kindertransport was leaving from Munich, and with only 24 hours' warning, she arranged for Rolf to travel on it. On Friday 19 June 1939, while Rolf was walking with Professor Emmendörfer, his tutor told him that he would be leaving Germany that night. Rolf was put on a train bound for the crossing to England via Holland. He wasn't sure until he got to Harwich on 21 June where he was going - there were no adults accompanying his group. They got another train to Liverpool Street and finally arrived at the National Children's Home, Riversmead, near Clitheroe, Lancashire. This accommodation had been arranged for Rolf's group by the Society of Friends. 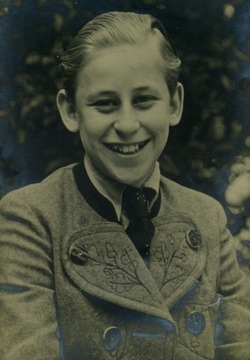 A school was set up for the boys who had arrived there on Kindertransports from Berlin and Vienna, and by September 1939 there were sixty-five boys on the roll. Mr Williams still has letters he received from his mother while he was at Riversmead - the last arrived in 1940. Rolf's mother and two of his aunts were among 980 Jews transported on 20 November 1941 from Munich to Riga. They were shot in woods near Riga, Lithuania on 25 November, together with many other Jews from Munich. After he left the children's home, Rolf got a job in a tailor's shop. Then, when he was 15 and a half, in 1941, he joined the Merchant Navy at Liverpool as a Deck Boy on SS British Resolution, and sailed to America and Egypt. On arrival in Egypt he was arrested as an alien and shipped back to Britain aboard the Empress of Britain with German officers captured by the British Army in North Africa. Artillery at Larkhill, near Salisbury. He volunteered for the Commandos - he wanted to go and fight in Germany - but instead was enlisted in the Parachute Regiment, and sailed from Greenock for India. He saw action in Burma, the Battle of Kohima and Imphal with the Gurkhas, as part of the 50th Independent Parachute Brigade, 2nd Division Gurkhas, with SAS attachment. Ralph was demobbed in 1947. After a few jobs in menswear, including Millets in Oxford Street and Blake Bros in Croydon, he was headhunted by Cecil Gee and went to work in the Shaftesbury Avenue flagship store, in the middle of London's West End, and popular with the stars. Mr Williams met Diana Dors (she collected shirts in her pink Cadillac), Liz Taylor & Eddie Fisher (he had lunch with them at the Ritz), and fitted Frank Sinatra for suits, among others. He was Manager of the Cecil Gee organisation from 1958 until 1962, when he left the company to found his own gent’s wear shop. designed many fine buildings in Buenos Aires including Casa Tia Supermarket. He came over to Europe in 1960 - he and Ralph met in Lake Garda. And in 1964 he came over for good and settled in a small high-rise flat in Croydon. In the late 1970s, he was still travelling to Italy for mountaineering holidays. "Papa is buried in Streatham Jewish Cemetery. He was a Liberal Jew, not Orthodox. Only two of his siblings survived the Holocaust." 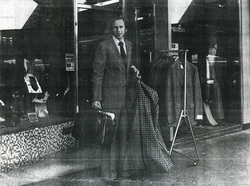 In 1962 Mr Williams opened his first shop, in West Wickham, and by 1978, when he was featured in article in Men's Wear, Mr Williams and his business partner Tony Denton, both of whom had shops in Croydon, were also travelling frequently as agents for Dutch suit manufacturer Muller Groningen: "We've done 50,000 to 60,000 miles through the USA and Canada in the last two years and it's been a hard battle. But we are going back because you have to sell to Americans on their own ground. People aren't export minded enough. They try once and then give up; the ones who win are those who knock eighteen times on the same door. Slowly we've won some accounts." Mr Williams speaks Spanish, Portuguese, German, and some Urdu. He has enjoyed skiing for fifty-three years in Seefeld, Austria. He has one son who lives in Australia, a daughter living in France, and five grandchildren. He lives with his wife Jane in East Sussex, but still enjoys travelling in to Tunbridge Wells every week. He still works several days a week at Moss Bros in Mount Pleasant, and if you happen to drop by, you will get the benefit of his extensive knowledge and experience as a gentleman's outfitter over decades.